Easy to install waterproof dimmable lighting solution ideal decks, docks, railings, pools, boats, etc. 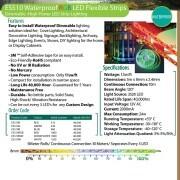 The ES510 strip tape has a silicone coating to make the strip waterproof. This product is non-submersible. 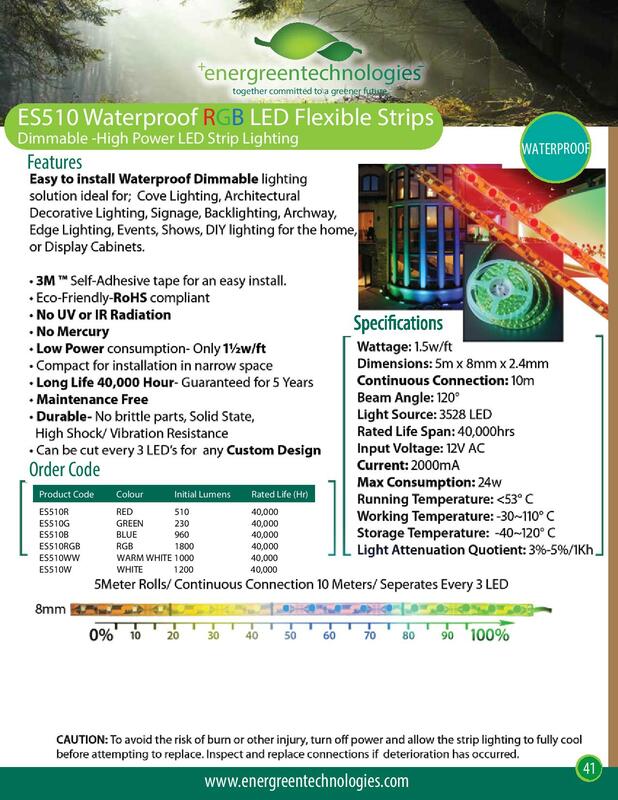 ES510 is stocked in 3000K, 6000K, and RGB.